Including view display URLs in the sitemap has been possible through adding these URLs as custom links in the UI (or via the API). View variations created by view arguments however are tedious to include as one would have to include every version of the URL. 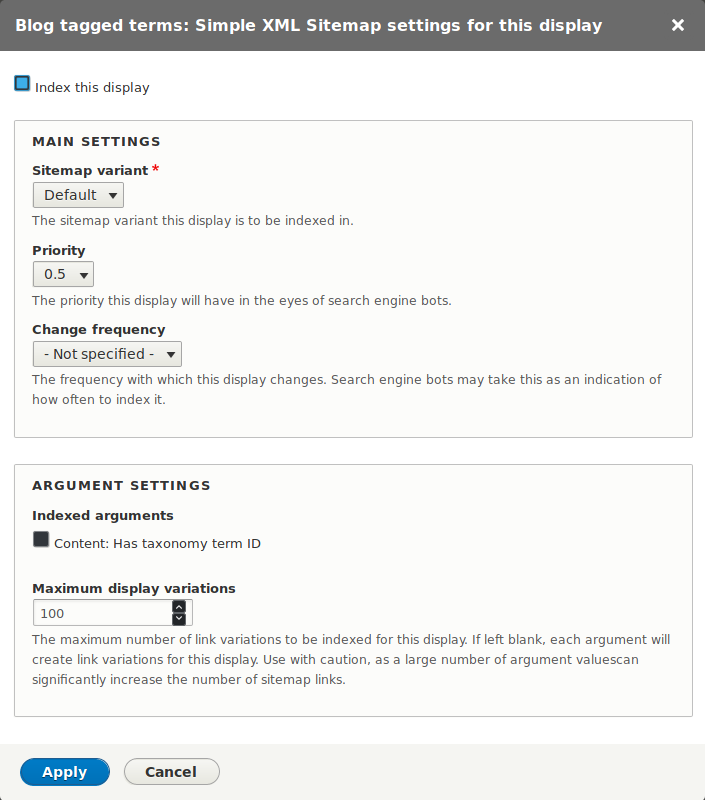 The integration of the simple_sitemap_views inside simple_sitemap 3.x makes it easily doable via the UI. You can see the list of bug fixess and improvements on the module's release page. The module upgrades fine from any of the 2.x and 3.x versions. To upgrade the module via composer, $ composer require 'drupal/simple_sitemap:^3.1' can be used. Afterwards, just visit /update.php, or run $ drush updb to update the module's storage. For more information about the 3.x branch of the module, see this post. I invite you to watch this space for a more in-depth technical tutorial on how to programmatically create sitemap types. Also feel free to leave a comment below!